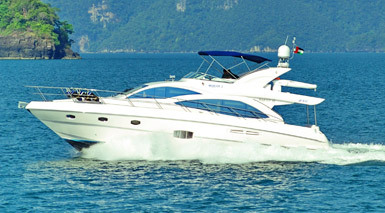 Jan 2009 brought the 1st delivery of 2009 for the Go Boating Team. 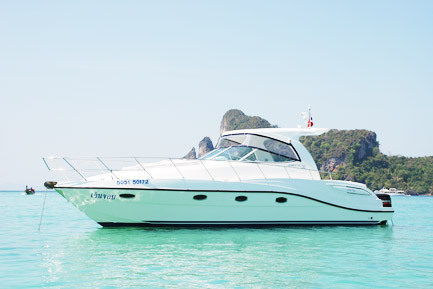 Another new SC33 arriving brought the total number of this popular model in Thailand to 7 boats. 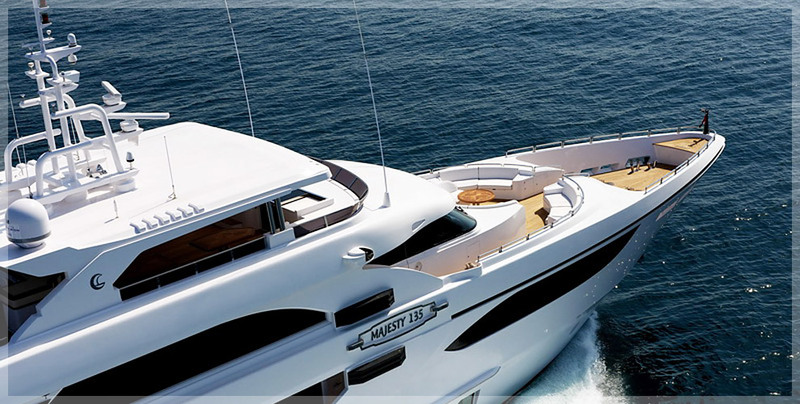 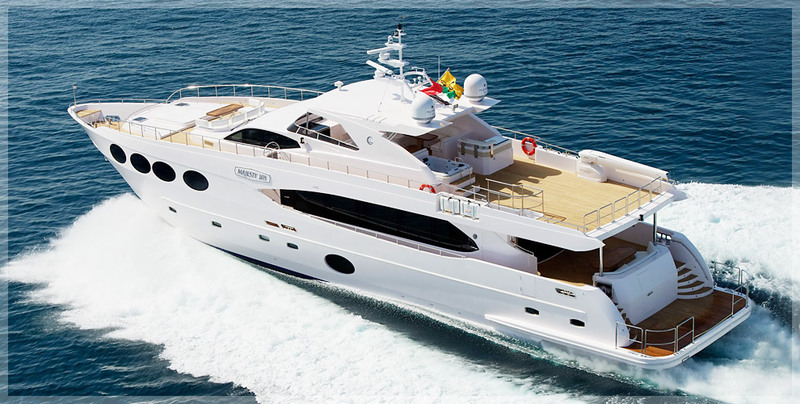 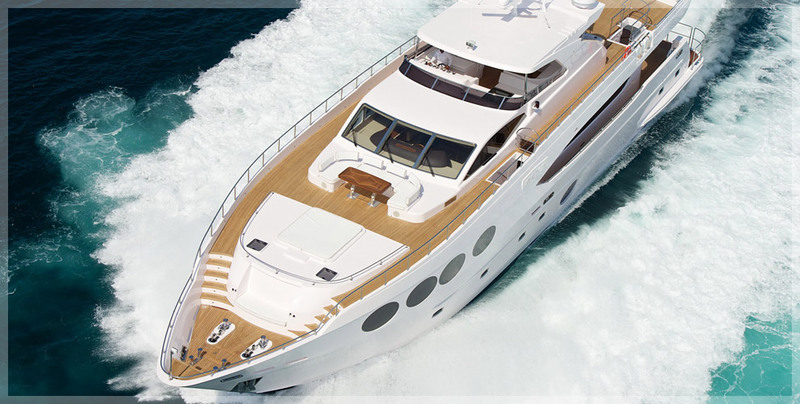 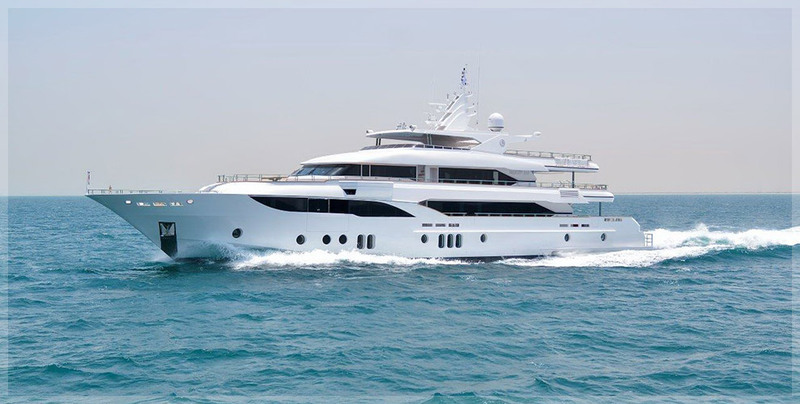 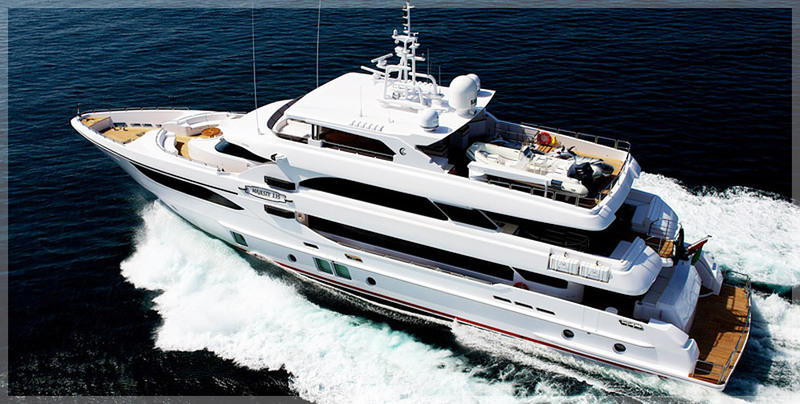 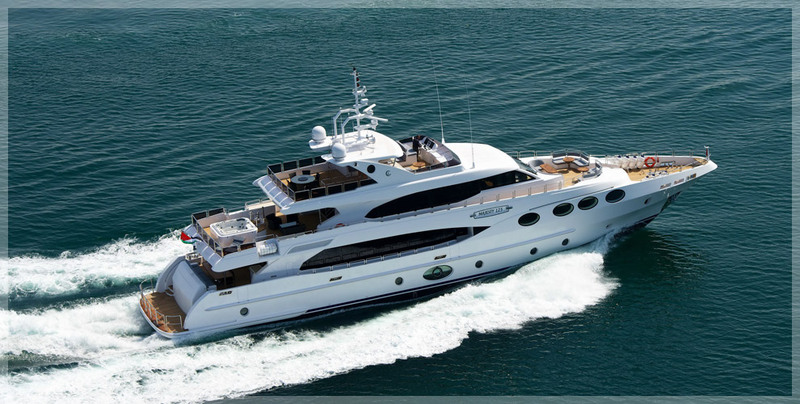 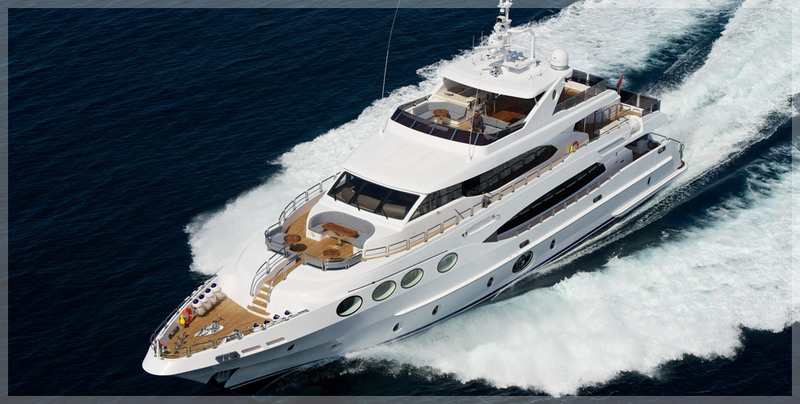 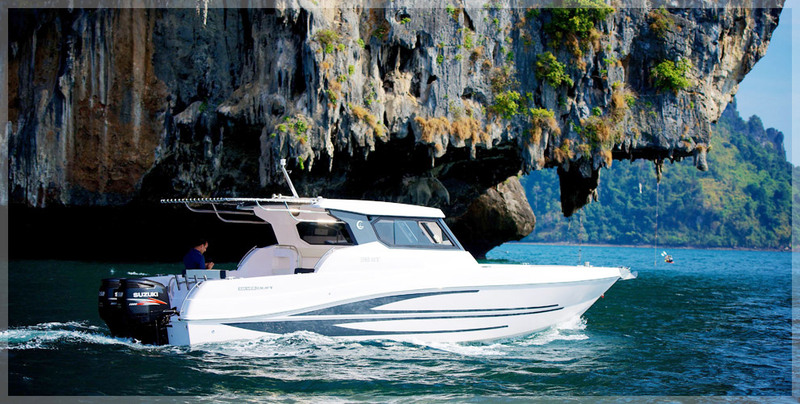 Its Singaporean based owner and friend of the previous Silver Hulled 33 has again opted for a full specification boat. 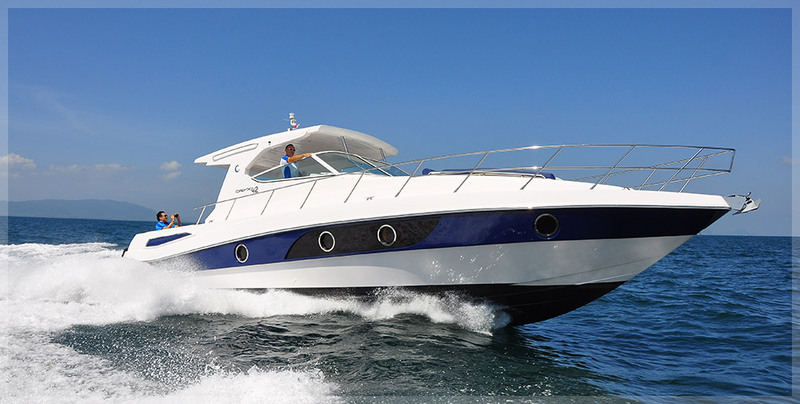 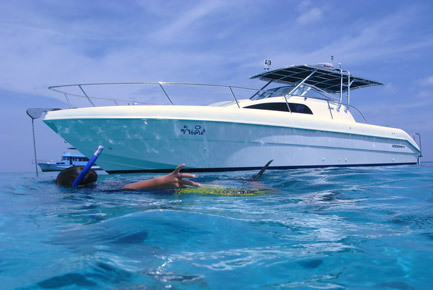 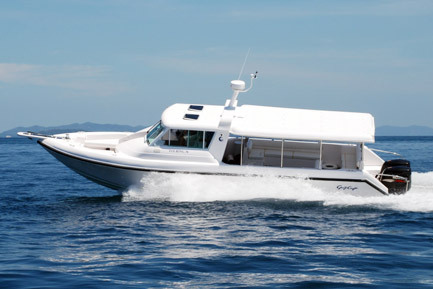 250hp Suzuki’s were chosen as they compliment the boats hull design and give great cruising economy of about 2.6lts per Nautical mile, giving this boat a range approx 210 miles. 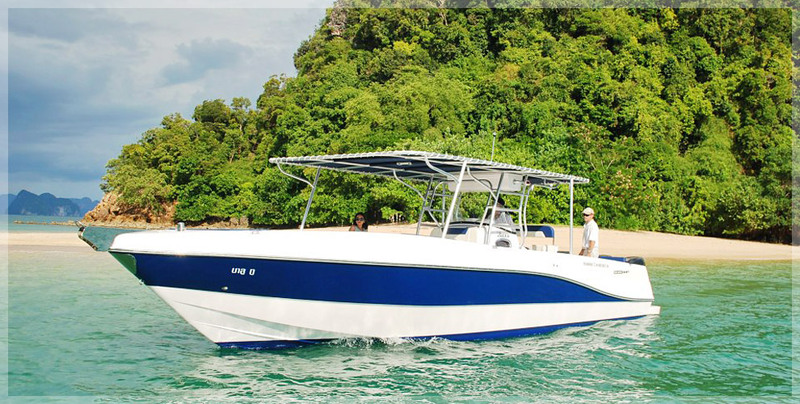 Options added include, air conditioning which has been added to the bathroom as well, Auto pilot, fishing outriggers, black canvas and the wonderful Silver hull colour which was again expertly applied by the Go Boating Team. 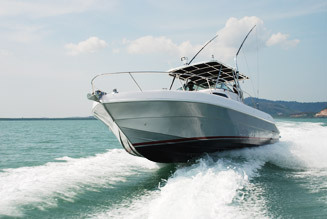 This Colour looks great when the water reflects the sun onto the hull and the owner loves the look. 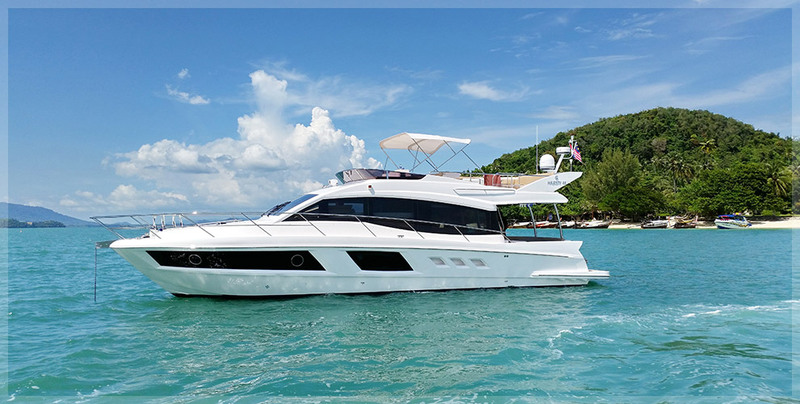 This boat will take part in a cruise to Singapore in April, along with other boats from Go Boating, which will make a memorable experience for all who take part. 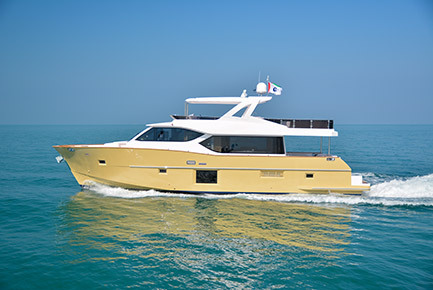 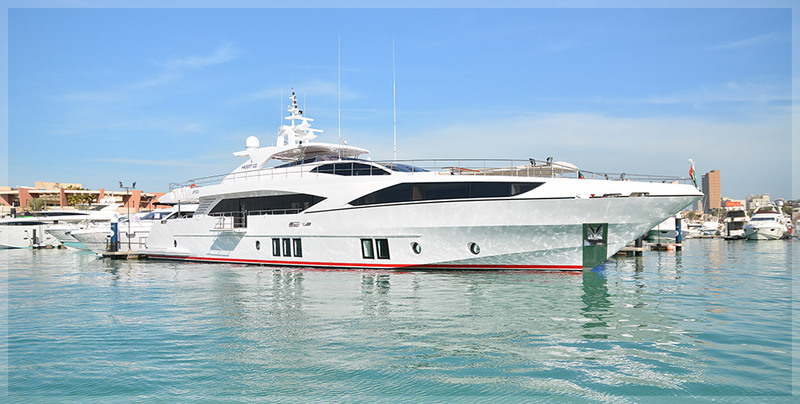 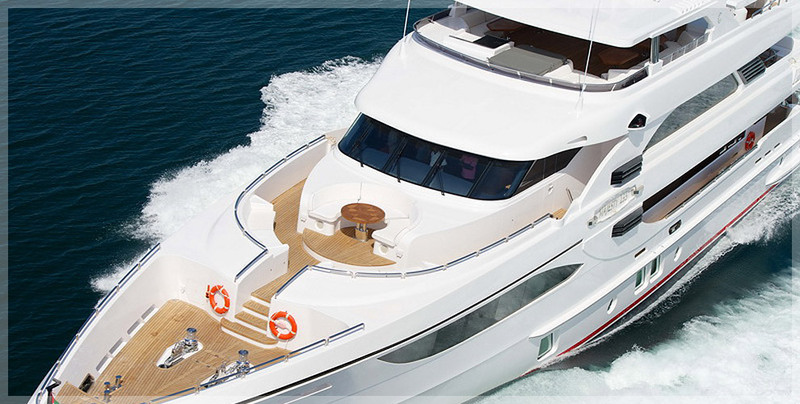 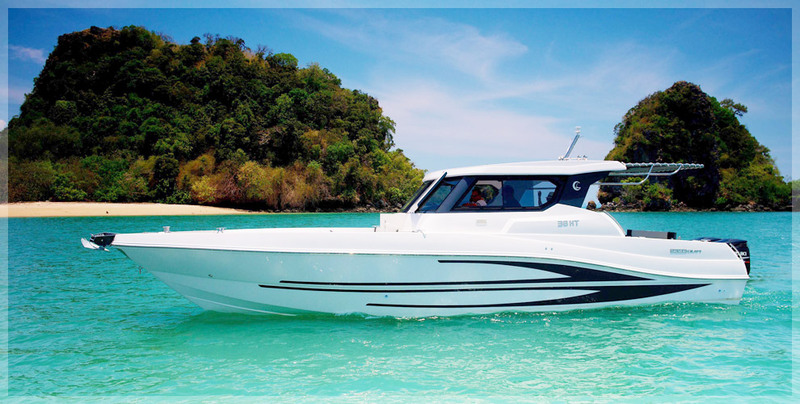 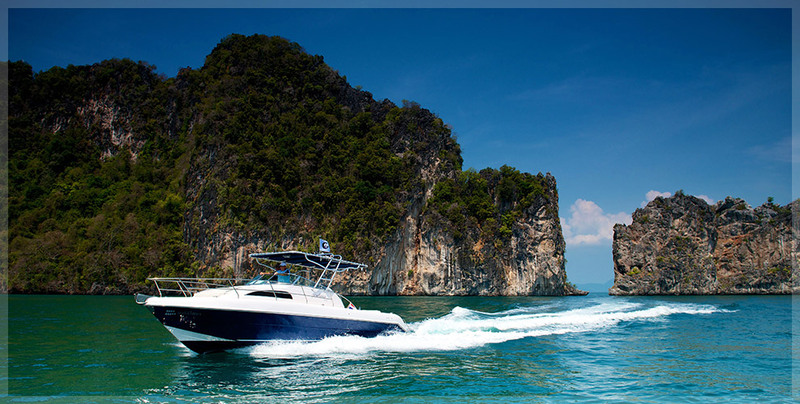 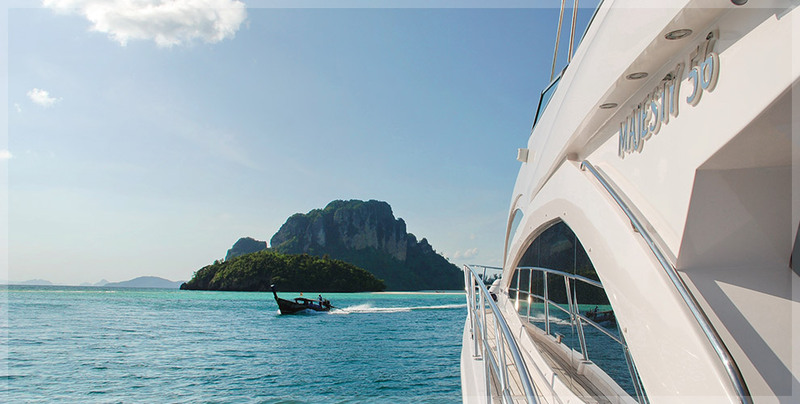 Until April this boat can be viewed in RPM marina Phuket.